Pharmaceutical sciences student Shivani Patel knows that her actions can make a powerful impact across the globe. 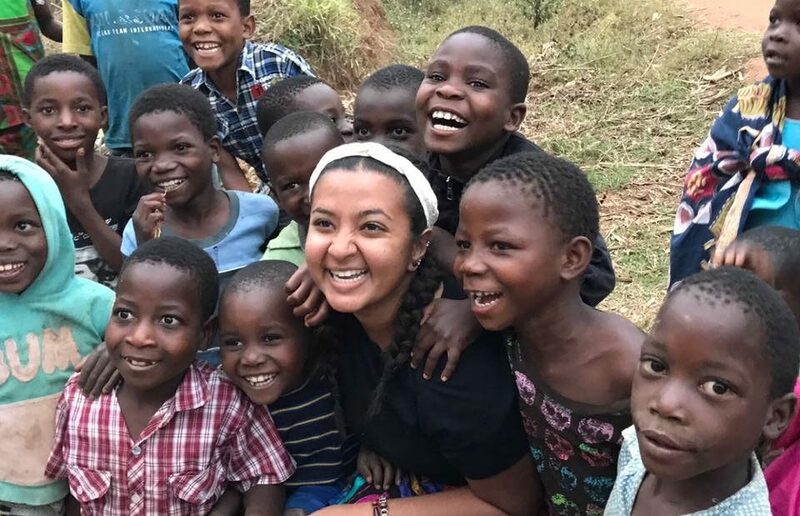 Read her story to find out more about her incredible journey at Ohio State and around the world. Miranda: What are you studying and why? Shivani: I am studying pharmaceutical science. I know it’s an unpopular opinion, but I love chemistry. I want to help others learn and understand the medication they are taking and how it helps their body. What are you involved in on campus and in the Columbus community? With the Global Health Initiative program, I went to Malawi. There, I gave health presentations to help educate villagers. We were able to give them supplies they did not have access to for things like pneumonia and neonatal health. I also helped to take blood pressure and provide simple medical check ins. We were trying to create a system where they don’t rely on medications, because they won’t have access to them. We also brought clothes, pencils, coloring books and household supplies. I’m also a USG senator for the pharmacy department. Lastly, I helped bring the ONE Campaign to Ohio State. The mission is to help communities with extreme poverty and high rates of preventable disease. What are three words to describe you? First, I would say mindful. I am always looking for how my work can benefit other people. I try to pay attention to how others are feeling, because it’s important to understand what they’re going through. Next is ambitious. I set goals and do whatever it takes to achieve them. Lastly, adventurous. I’m constantly looking for new experiences to get out of my comfort zone. I try to dive into things head first –– I committed to Ohio State even before seeing it! In your bio, you talked about fostering happiness and creating positivity around you. How do you see this in what you do at Ohio State? I have always been the type to approach anyone, and try to do so with sincerity and care. You have to acknowledge that everyone is doing something they love, so there is no reason to shut them down. One smile can change someone’s day and keep them motivated. How did you realize that helping others is what you’re meant to do? I knew I wanted to go into the medical field, not just because I love science but because I love people. I’m passionate about helping people who have no means of helping themselves, because where someone lives shouldn’t determine their quality of life. One person can change so much by helping, advocating or bringing happiness. It feels good to do good. Can you tell me more about the ONE campaign? The ONE Campaign’s mission to end extreme poverty and diseases in Africa. They prioritize by talking to village elders to find out what is actually needed. It’s advocacy to help promote and bring this movement alive, not through actions but through speaking up. There is power in words and how they connect people. What have been your biggest successes or most proud moments while working with ONE? I was Invited to National Power Summit in D.C. where I got to hear from sponsors like the RED campaign and Malala Fund. People from all over the globe came together for one common cause. We heard about equal education for young women all across the globe. It’s a concept that many women never thought would come to light. I hope to bring that feeling back to Ohio State. What advice do you want to pass along to your fellow Buckeyes? Keep your paradigm wide. Instead of doing things your friends are doing, do one thing nobody else is. You’ll be surprised by how much you like doing something on your own. I came to Ohio State knowing few people, so being thrown in by myself helped me to find what I love. Posted by koewler.9 at 2:46pm February 20, 2018 Bookmark the permalink.